Deep, dry powder snow in the high country lures winter sports fans. Cross-country skiers and snowshoers head to the groomed trails at China Ridge, an avalanche-free zone just 8.5km/5mi from downtown Princeton. The ungroomed Trans Canada Trail is a great choice for making fresh tracks. 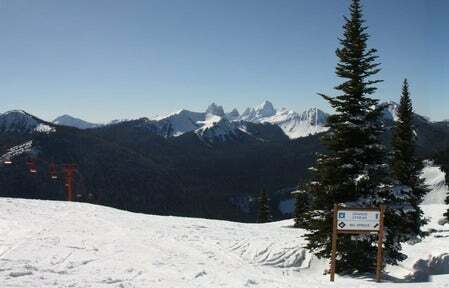 Explore the extensive network of China Ridge Trails while cross-country skiing or snowshoeing. Located only 8 km from downtown Princeton, access is via Bridge Street, left onto Tulameen Avenue and right onto West China Creek Road. For Winter enthusiasts there are over 40 km of professionally tracked cross-country ski trails, 15 km of snowshoe trails, 20 km of managed trails, that allow you to ski with your dog, and endless avalanche free back country skiing opportunities. There are a number of ways to get your skates out and feel the brisk cold air on your face. 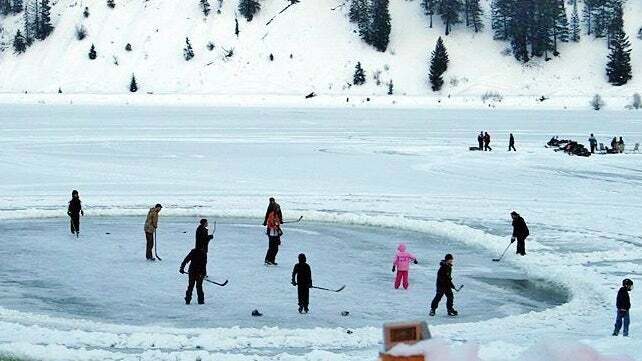 Both Manning Park and Apex resorts have outdoor ice rinks to play on, or you can check out Tulameen's excellent covered rink that's perfect for those spontaneous hockey games with neighbours and friends. If you feel like creating your very own ice surface, then there are many frozen lakes to choose from. 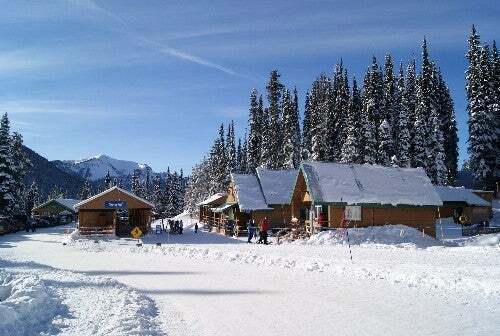 A great winter destination offering a resort for downhill skiers/snowboarders and cross-country skiing. 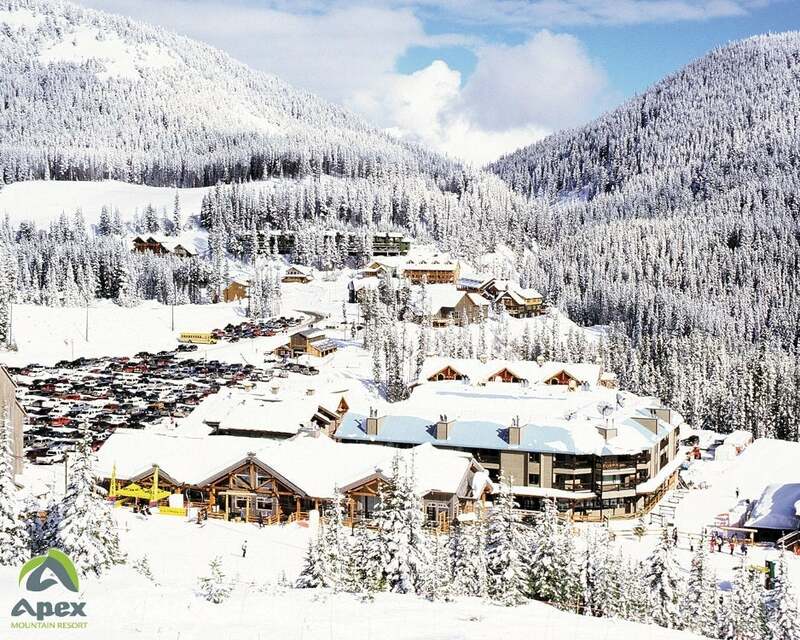 The resort gets some of the best snow in B.C. Located at a charmed intersection between the temperate coastal area and the dry desert Interior, which means the powder is top notch! Located 67km west of Princeton with 24 runs, four lifts 1,417ft of vertical on 140ac of terrain, there's plenty of action for every skill level. 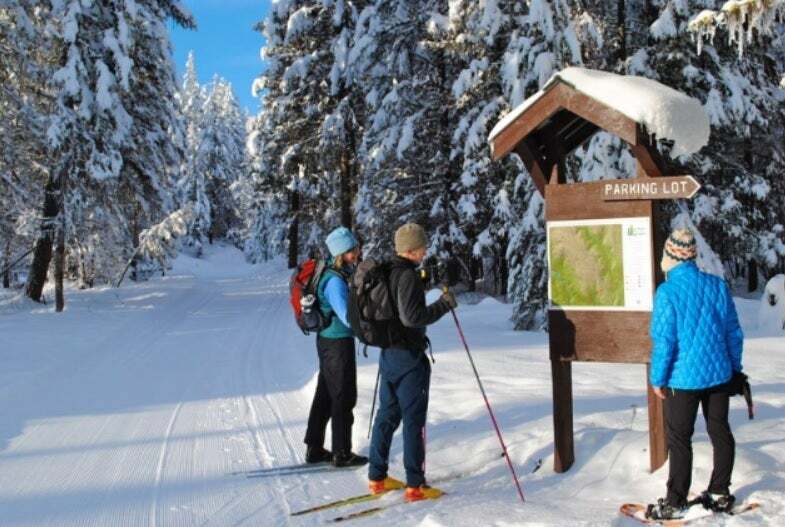 Along with downhill skiing and snowboarding, Manning Park has over 60km of classic skate and groomed cross-country skiing and snowshoeing trails. And that’s only just the beginning! The backcountry trails cover some 160km for the truly adventurous. The easiest runs (or Green runs) cover approximately 30% of the resort, More difficult (or Blue runs) account for 40% of our mountain terrain, and most difficult (or Black Diamond) cover another 30% of Manning Park Resort’s runs. Snow tubing at the Polar Coaster is another great family activity, and we also have tobogganing, ice skating, hockey and more. Visit www.ManningPark.com for more information. 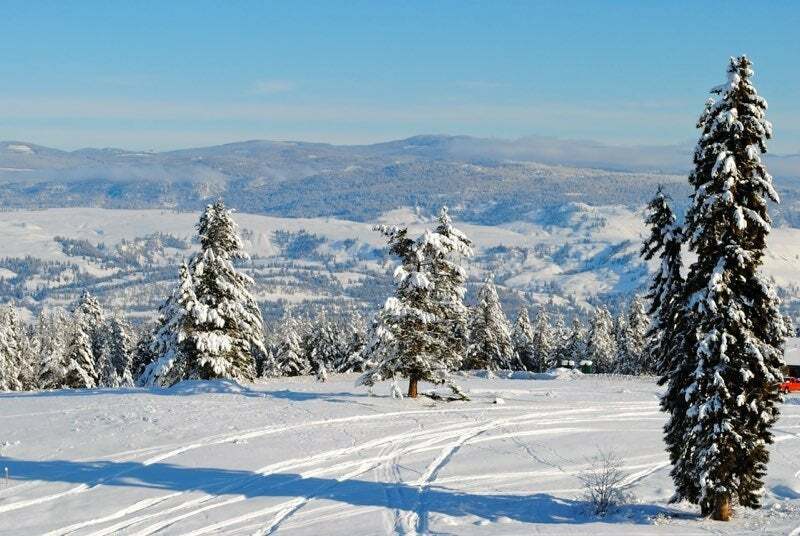 Apex Mountain Ski Resort, near Penticton in the South Okanagan is a great place to enjoy a family mountain vacation. 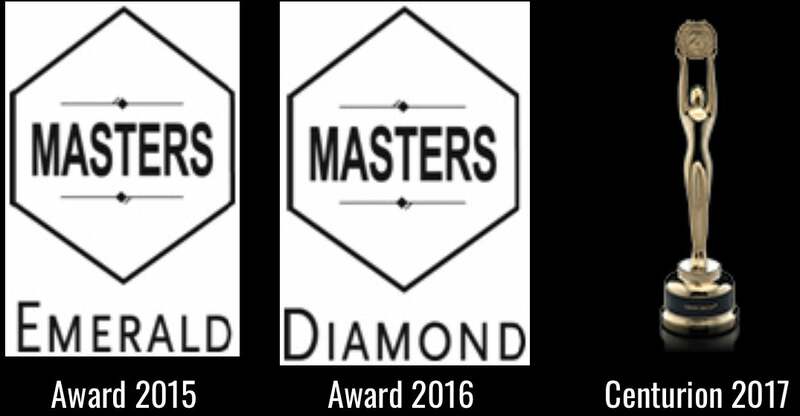 Rated "Best Small Destination Resort" by Ski Canada Magazine. It's located at the base of a spectacular mountain, with excellent dry powder. The slopes are not crowded and the lift lines are short with ample skiing and boarding area. During the summer months go mountain biking, hiking, and horseback riding into alpine country. There are excellent on-mountain accommodations. Facilities include meeting rooms and conference centre, restaurants, fine dining and pubs, outdoor hot tubs, rental and repairs, and shops. There is night skiing, and an outdoor hockey/skating rink. The Snow Sport and Adventure Centre features the Ski and Snowboard School, a Kid's Club and a reservation centre for all resort activities. Ice season runs September to March. This is the stable for the Princeton Posse Junior "B" hockey team. 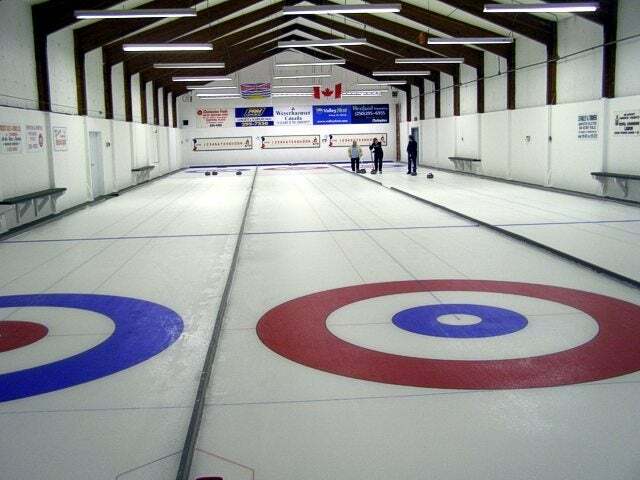 Other clubs that use the complex are minor hockey teams, rec hockey leagues, public skating and figure skating clubs. Call 250-295-7222 for more info.